Thyme is an ancient evergreen herb that has been renowned for its myriad uses for thousands and thousands of years. In addition to its value as a culinary herb, it is also known for uses both medicinal and ornamental. 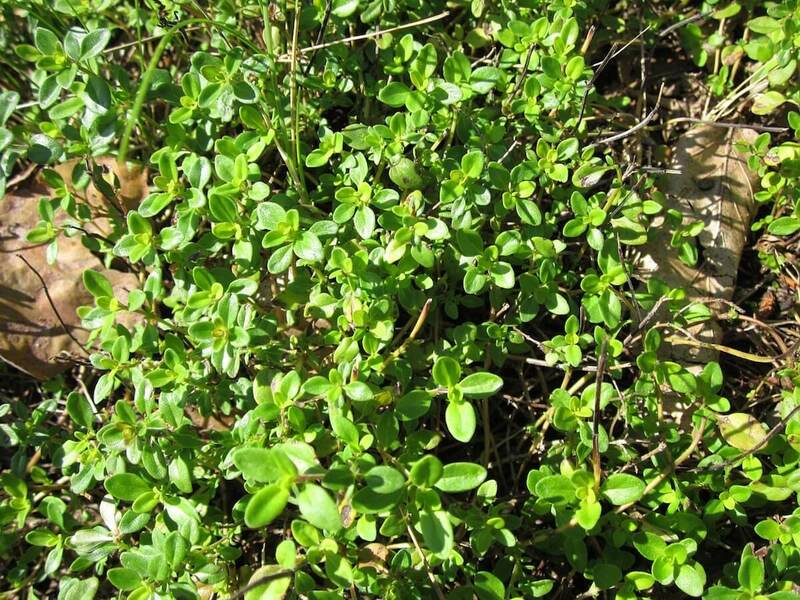 It is a member of the mint family and a relative of oregano. While there are several varieties of thyme, common thyme (Thymus vulgaris) is the variety that typically keeps a prime place on your spice rack. Common thyme is native to the Mediterranean where it grows in abundance. Today, it is cultivated in the United States, Portugal, Spain and France in addition to the Mediterranean. Even if you cook rarely or are just beginning to build your spice collection, thyme should be one of the first herbs on your list. Think of it as a building block to a well-rounded spice rack; it is one of the most basic, versatile and often-used herbs that can be used in just about any type of cuisine imaginable. The aroma of thyme is very subtle and rather dry. 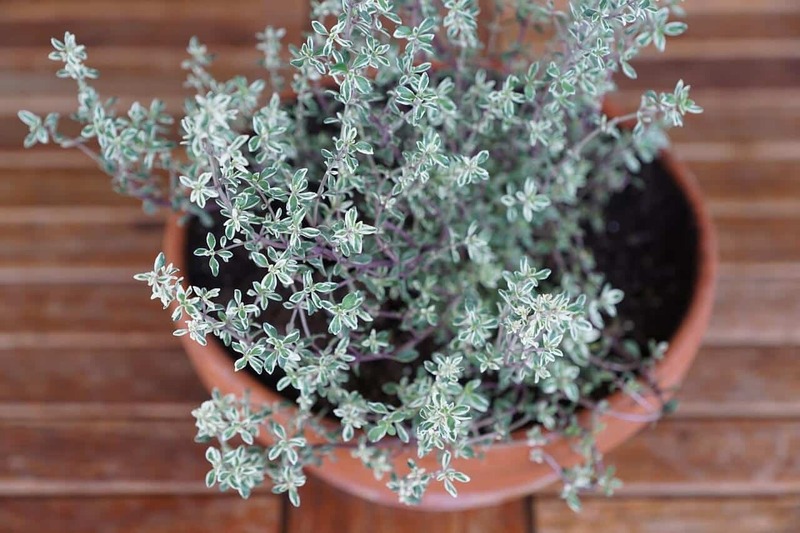 Unlike many other herbs and spice, thyme isn’t particularly aromatic. Its flavor is very earthy and a little bit sweet, with a slightly minty taste. Warm, peppery undertones add depth to the overall flavor profile of this herb, with a lightness that is often only detectable to the most sophisticated of palettes or when thyme is used in large amounts. This herb has the wonderful quality of blending with other herbs, spices and flavors rather than dominating, which makes it an essential addition to even the most basic of spice racks. 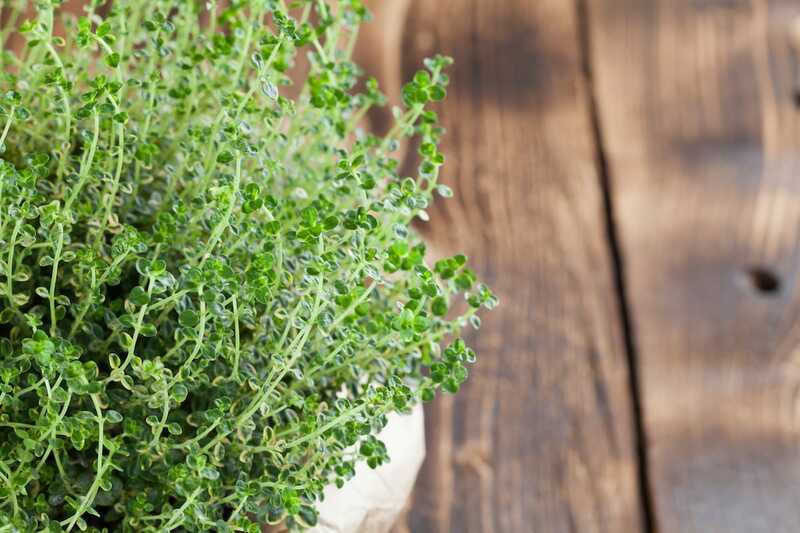 Even in ancient times, thyme was well known for its medicinal and healing properties. Today, it continues to heal and treat ailments as well as to support and maintain good health. Thyme is also known to stimulate the liver, enhance the appetite and aid digestion. It can effectively treat diarrhea, mouth and gum infections and fight against a variety of different types of digestive and respiratory infections. This herb also brings relief to sufferers of asthma, dry coughs, bronchitis, laryngitis and whooping cough. When prepared and administered as an inhalation therapy, it has done wonders for people who suffer from chronic sinus infections. Thyme is even an incredible powerful antioxidant that serves to protect the body from many of the negative effects aging. While we’ve named quite a few uses here, this covers only a fraction of the health benefits associated with thyme. Not only does this herb deserve a spot on your spice rack; it also has a place of honor among the few primary herbs known to be most beneficial to human health. This is one herb that is literally used in almost any and every type of cuisine you can imagine. 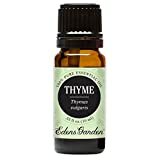 Traditional ethnic uses of thyme include seasoning blends for poultry stuffings and marinades, in fish sauces, soups and chowders, and with lamb and veal. It’s also commonly used to season eggs, croquettes and custards. Italian spaghetti sauces rely heavily on thyme to add a warm and earthy flavor in combination with other herbs. Thyme is also a common component of pizza sauce. Many chili recipes call for thyme along with a combination of other herbs such as basil, rosemary, marjoram, sage or garlic. 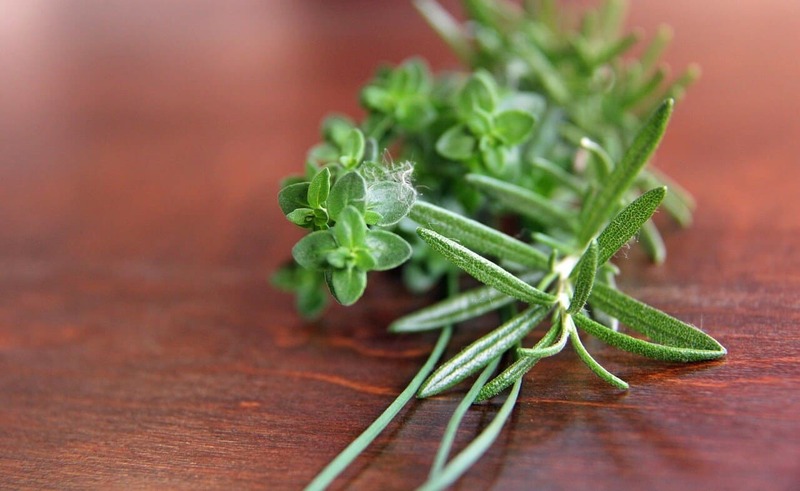 In French cuisine, thyme is an essential ingredient in bouquet garni along with celery, parsley and bay leaf. Thyme is even commonly consumed as an herb tea, a popular health drink with a light flavor and an incredible amount of vitamins, minerals and nutrients. Of all the herbs and spices you will utilize in cooking, thyme is without a doubt one of the most versatile. Whether you choose to use it in traditional dishes and recipes that call for it specifically, or you play around with seasoning less conventional types of cuisine, you’re sure to gain a deep respect and love for this ancient and adaptable herb. What's A Good Lemon Thyme Substitute?